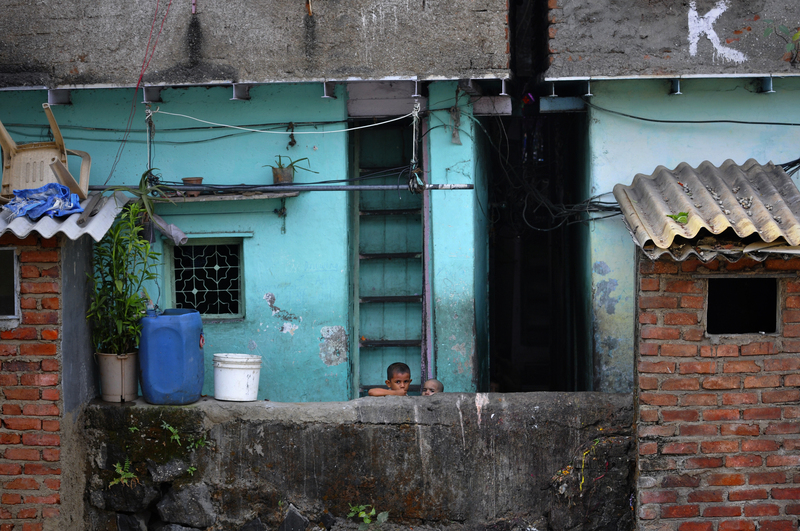 Children in Dharavi, India is submitted to ‘Adventures in the City’ on National Geographic. Kristian Bertel has contributed to the National Geographic Your Shot community with an assignment called ‘Adventures in the City’. Curated by Renan Ozturk, a National Geographic photographer he wants to see exploration of our local city and document it in pictures as if we were doing so for National Geographic Magazine, we should tell the story of our exploration, with scene setting landscapes, intimate details and portraits filled with personality. As Renan is saying it: ”- When you first think of exploration, you might think of going to an exotic location, mountain climbing, hikes through a dense forest or underwater exploration. But exploring doesn’t have to be quite so extreme, it can take place a lot closer to home. In every city, there are countless things to explore and photograph. Full of vibrant life, buildings, parks, art, neighborhoods and it’s people, cities offer a myriad of unique routes to explore. Show us what’s hiding down that back alley, waiting to be discovered in your local market district, or sitting right under your nose in your neighborhood park. Following your curiosity can lead to countless photographic opportunities and a richer understanding of your surroundings and maybe even of yourself”, he says. The photographer chose to submit one of his slum photographs from Dharavi in India. Slum tourism, or ghetto tourism is a type of tourism that involves visiting impoverished areas. Slum tourism is now becoming increasingly prominent in many places, including India and others. Prior to the release of Slumdog Millionaire, Mumbai was a slum tourist destination. The concept of slum tourism has recently started to gain more attention from media and academia alike. Recently international conference on slum tourism was held as well as a social network of people working in or with slum tourism has been made. Tourists in Mumbai’s Dharavi slum were motivated primarily by curiosity, as opposed to several competing push factors such as social comparison, entertainment, education, or self-actualization. In addition, the study found that most slum residents were ambivalent about the tours, while the majority of tourists reported positive feelings during the tour, with interest and intrigue as the most commonly cited feelings. Many tourists often come to the slums to put their life in perspective. Slum tourism has been the subject of much controversy because it is easy to leave from after a couple of hours of visiting. Slums form and grow in different parts of the world for many different reasons. Causes include rapid rural-to-urban migration, economic stagnation and depression, high unemployment, poverty, informal economy, poor planning, politics, natural disasters and social conflicts. Strategies tried to reduce and transform slums in different countries, with varying degrees of success, include a combination of slum removal, slum relocation, slum upgrading, urban planning with citywide infrastructure development, and public housing. Dharavi slum of Mumbai – now one of the largest slums in India, used to be a village referred to as Koliwadas and Mumbai used to be referred as Bombay. In 1887, the British colonial government expelled all tanneries, other noxious industry and poor natives who worked in the peninsular part of the city and colonial housing area, to what was back then the northern fringe of the city – a settlement now called Dharavi. This settlement attracted no colonial supervision or investment in terms of road infrastructure, sanitation, public services or housing. The poor moved into Dharavi, found work as servants in colonial offices and homes and in the foreign owned tanneries and other polluting industries near Dharavi. To live, the poor built shanty towns within easy commute to work and the year India became an independent nation of the commonwealth, Dharavi had blossomed into Bombay’s largest slum. ”- Urban poverty encourages the formation and demand for slums. With rapid shift from rural to urban life, poverty migrates to urban areas. The urban poor arrives with hope, and very little of anything else. He or she typically has no access to shelter, basic urban services and social amenities. Slums are often the only option for the urban poor”, the photographer Kristian Bertel says again”, the photographer Kristian Bertel says.